TRC specializes in transmission, differentials, hydraulics and related parts for pickup trucks through severe duty vehicles - every make and model. Remanufactured exchange programs and custom remanufacturing are designed to get you or your customer back on the road making money. TRC is uniquely positioned to develop programs for multi-location customers that offer consistently high quality and service at competitive prices. Trucks in the 6-8 classes are America's workhorses—performing everything from long-haul freight delivery to local sand and gravel delivery. TRC's authorized rebuilder certification from Eaton and Allison with their accompanying nationwide support networks ensure that you're getting the best product available at competitive prices and that you're covered wherever you go. We understand your primary concern is safety. That's why our trained technicians build to factory specifications using brand name parts. 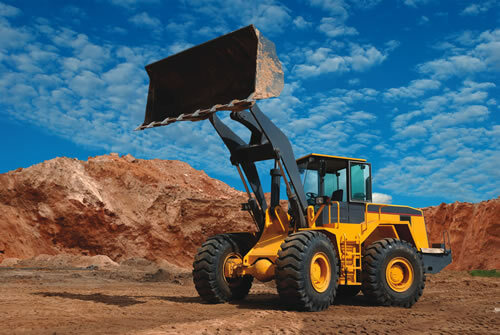 We carry the same brand names that your fleet was built with. Our status as an Allison Factory Overhaul Center offers peace of mind when servicing the school bus applications. TRC offers a comprehensive solution for the demands of the transit / coach market. We are an Allison Factory Overhaul Center – ensuring an "all genuine" solution. Our ZF facility builds ZF 592 in line and V-Drive transmissions to OE standards and we have the ability to test both designs at full speed, under load, and to perform a stall test in each gear. Today's fleet profile invariably includes numerous pickup trucks. The addition of the light-duty division in 2010 allows us to offer a comprehensive drivetrain solution. Our light duty transmissions carry a three year, 100,000 mile warranty as your assurance that our products are remanufactured using the most stringent factory specifications. Whether your transmission need is Allison, Chevrolet, GM, Ford, Chrysler, Sprinter, or Workhorse, we can help. TRC has tailored a program to the needs of fleets that use step vans to deliver their products by building a program around one of the nation's largest step van fleets. In doing so, we learned many of the unique needs of this specialty vehicle. 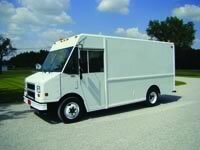 From the complications of deciphering the GMC and Ford part numbers to stocking of the hard to find Workhorse and Freightliner Custom Chassis components; we believe we have the industry's best offering for your step van needs. Recognizing many of these fleets are national in scope, we embellished the step van program by opening four stocking locations across the country. TRC remanufactured differentials, transmissions and steering gears can handle the most severe applications. Our genuine Allison transmissions are built with 100% genuine Allison parts and every electronically controlled "World" Transmission is Dynamometer tested using TES-295 Allison approved lubricant before shipment. 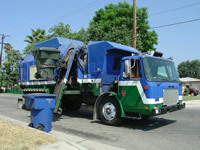 Additionally, TRC routinely custom remanufactures hydraulic pumps and motors common to the Refuse industry. TRC has the people, knowledge and products. Additionally, we have distributor, dealer, service center and warranty center status for the Industry's largest drivetrain and hydraulic manufacturers to keep cranes, construction and paving equipment operating. 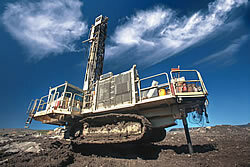 We can reduce your downtime and get you back on the Job fast. We are the experts for the most common drivetrain components such as Allison, Spicer, Clark, Hurth, Eaton, Kawasaki, linde, Rexroth and TWin DISC. 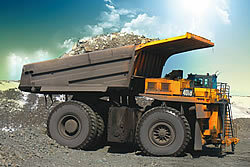 TRC enjoys a growing reputation within the mining Industries - quarries, deep mines and strip mines. 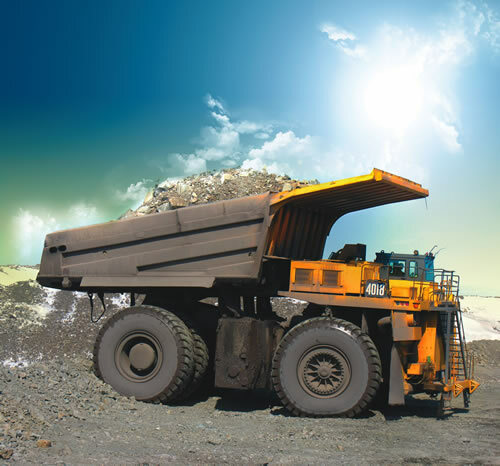 Our Twin DISC, Linde, Spicer and Allison expertise make us an attractive option tor a range of specialized mining equipment needs. TRC has the Marcellus gas fields covered. TRC is experienced at overhauling and testing the Allison 6000, 8000 and 9000 series used on frac trucks, blenders and cementers to Allison factory standards. Residual waste and wireline trucks utilize Eaton Hydrostatic Transmissions; we are the distributor, service center and warranty center for the entire area. As a Linde service center and a Sauer ECS service center, we have the ability to service pumps and motors that many repair centers will not touch.